"I'm going to walk out when Marshmello plays Beiber." I heard a music enthusiast say this in passing as I entered Mahalaxmi Lawns in Pune, for VH1 Supersonic Day 2. As soon as I looked up to see who it was, all I could see were kids (when you are 30, 18-19 year old are kids — it's all about perspective) wearing the signature Marshmello mask. 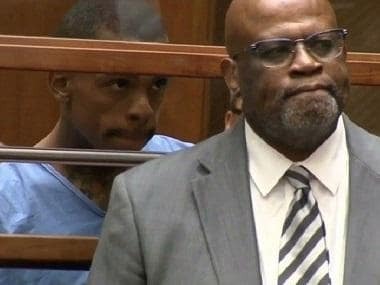 Talk about irony. 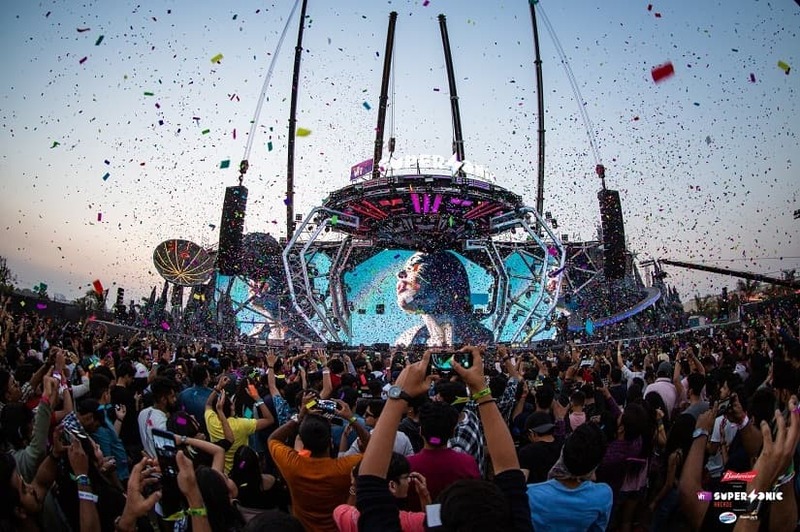 Festivalgoers having a blast at Vh1 Supersonic 2019 Day 2. Vh1 Supersonic, much like most Indian music festivals, had a variety of concertgoers this year; from teenagers on their own for the first time, for whom the music doesn't matter as much, to families with children and picnic baskets in tow, walking around hand-in-hand with assorted background music for their Sunday evening activity; from people who travel for several hours to watch their favourite artist perform live (Bonobo lovers, raise your hands), to social media influencers who dance privately in the VIP area and can be found capturing every Instagram-able moment. But they all had one thing in common — dance like there's no tomorrow and be the very embodiment of YOLO. The sartorial choices of the average festival go-er is ample proof of this. Glitter, bohemian prints, print-on-print, carefree hair, dark and pigmented lip colours, masks and lace, chic accessories and ornaments, and hipster beards. 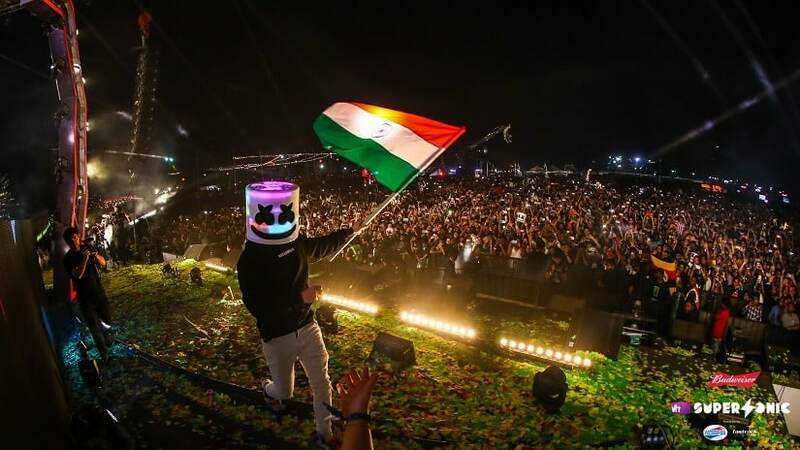 The sixth edition of the multi-genre music festival boasted of names like Bonobo, Jaden Smith, Marshmello, Lost Stories, Zaeden, Prateek Kuhad, TroyBoi, Paul Ritch, BLOT!, Arjun Vaghale, Peter Cat Recording Company among many others. There were several brands with pop-ups and game centres, a tattoo stall hosted by Budweiser, a face-painting and hair-styling booth (for those really interested in getting into the music-festival vibe), and the Superflea area with delicious food, ranging from Delhi chaat, frankfurters, pies, ice-cream, junk food of multiple varieties and full-fledged khaana in the form of thaalis and rice-boxes. Not to mention various kinds of alcohol (from beer to cocktails) for social lubricant purposes. The stage was set (pun-intended) for a unique two-day experience. You know what sets Bonobo (British electronic musician Simon Green) apart from the hordes of electronica artists around the world? His ability to tap into your fleeting emotions and convert them into music. He teases you, by building up one-dimensional sounds (like raindrops, or one-beat percussion, or the xylophone) into a full blown electronica set that literally makes you jump with joy. The striking visuals (played to the themes of earth, fire, water) and colours helped make his 90 minute set a kaleidoscopic, jazzy experience. Every song he played — from 'Kong' (a crowd favourite), 'Animals', 'Kiara' to several hits from Black Sands, and his latest album Migration — saw hoots, cheers and gasps from the audience. 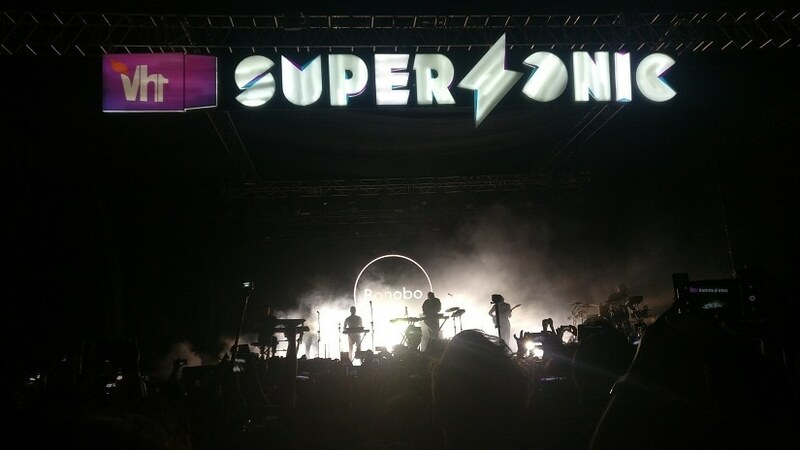 Everybody had a favourite Bonobo song and they couldn't believe they were watching him live. 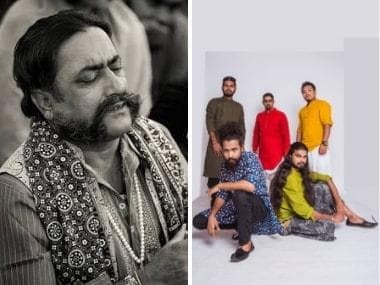 Green announced at the end of his set that this would be the last live show he will be doing for a long time (imagine the smirks on our faces), and that the last two experiences performing live in India were "memorable beyond compare". With five stages, and over 30 artists, it became a game of picking and choosing (with a heavy heart) your preferred performance to catch. 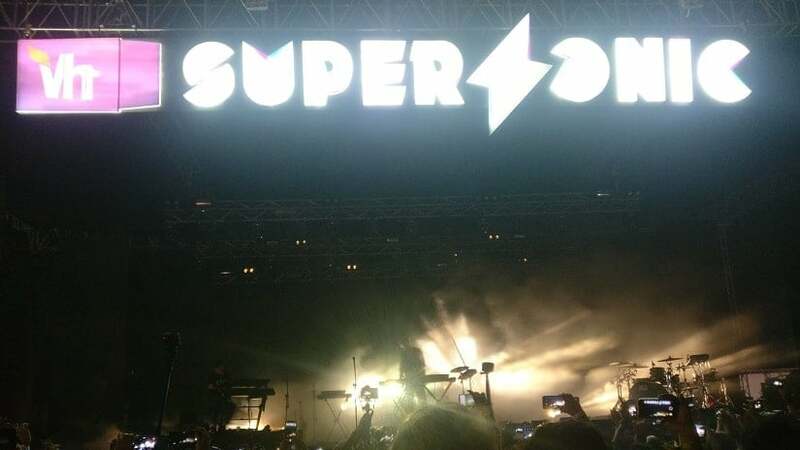 Some standout performances at Vh1 Supersonic included Irish indie-rock band Two Door Cinema Club; Sandunes, who mesmerised audiences by bringing in a guest singer — Sohrab Nicholson; Paul Ritch, Kohra and Arjun Vaghale — who put the E in electronic; and BLOT!, who has unparalleled visuals. 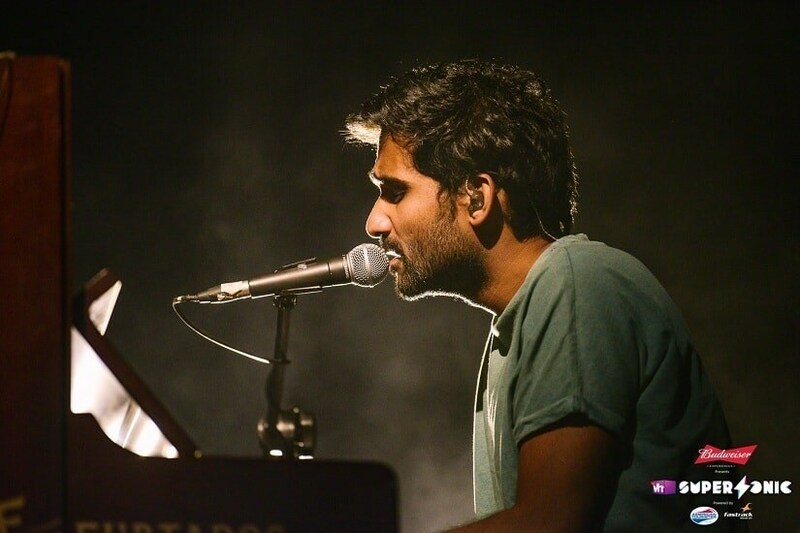 Prateek Kuhad at VH1 Supersonic. Prateek Kuhad had the audience eating out of his hands, with his soulful renditions of 'Tune Kaha' and 'Tum Jab Pass' especially standing out. Lost Stories x Zaeden had everyone on their feet, with sick mixes of popular songs (ranging from Cardi B to even Gully Boy's 'Asli Hip Hop'). At one point they played the Game of Thrones soundtrack, a slower but jazzier remix of 'Kavaa Kavaa' and NRI favourite, 'Mundiyaan toh bachke rahi'. The 10000 Lions Sound System stage (one of the five at the venue) only played reggae music with humoungous Rastafarian flags around it. We approve (and kept coming back to this stage just to people-watch). Marshemello — real name Christopher Comstock — was the closing act of the festival, and he started his set with a two-minute silence in honour of the soldiers killed during the Pulwama terror attack. His set that followed was filled with some of his regulars — and even though his performance saw the biggest crowds, the music was just about okay. The fireworks and visuals made up for it. I wish I could say better things for Jaden Smith, but apart from the fact that a lot of young people knew the words to his songs, Smith's performance didn't move any mountains. His histrionics, however, has the cameras buzzing around him pleased. 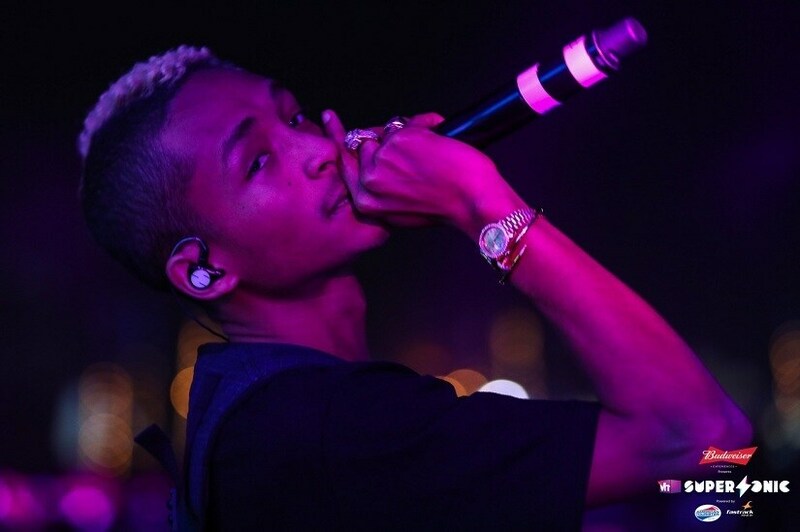 Jaden Smith at VH1 Supersonic. As we entered the festival venue on Day 1, women were handed a green looking paper which read "pee while standing". I was as shocked as you are reading this. The festival organisers were handing out these God-sent saviours so that women wouldn't have to squat in the bathrooms (if you've attended a music festival in India, you would know why one needs to squat). But the cherry on the cake were the "Hydration booths" at every other corner. This may seem like such a basic pre-requisite, but I've been to a fair share of festivals that ask for double the MRP for just a bottle of water. Here, water was free — and as a result people queued up in a disciplined way to take their glasses, and not one person littered. Hydration is everything at a music festival.